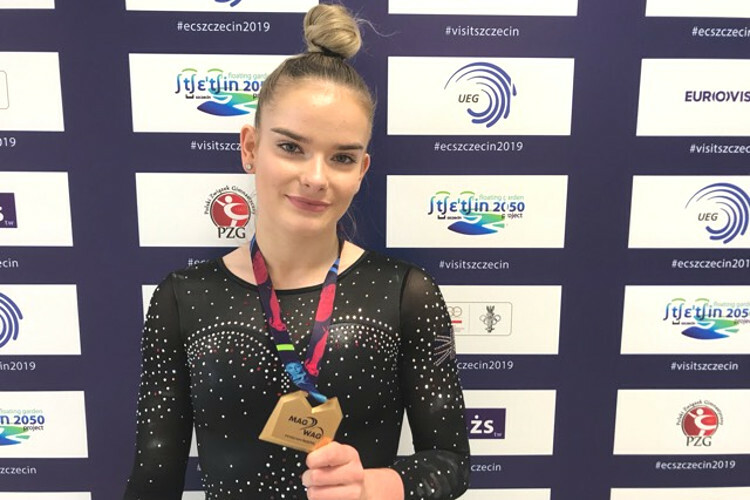 Joe Fraser finished just .033 marks from the medal podium after a superb display in the men’s all-around final at the European Championships in Szczecin, Poland. James Hall also put in a fine display to place in 7th spot. 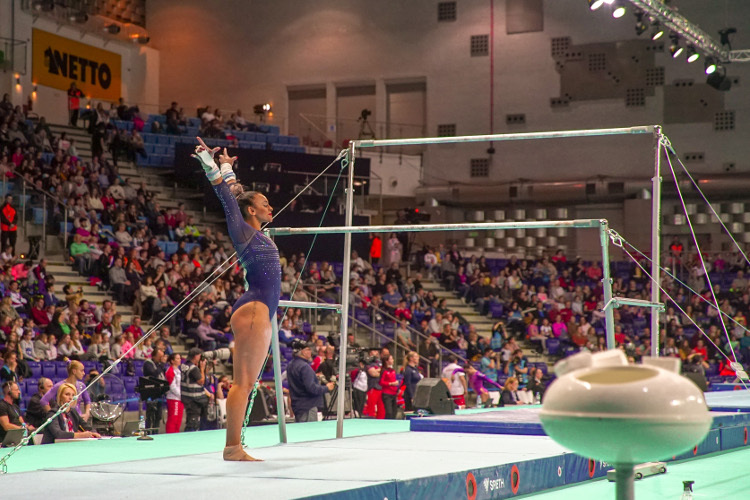 The title went to Nagornyy of Russia with teammate Dalaloyan in silver and Georgiou of Cyprus in bronze. Joe (City of Birmingham) had qualified in 6th spot for the final and began with a nicely controlled floor routine scoring 13.866. On pommel he was in superb form and looked comfortable throughout to post a great score of 13.933 points whilst on rings he combined swing elements and held his strength moves well, dismounting perfectly for a score of 13.833. He powered down the vault run and executed another great pass to score 14.200. 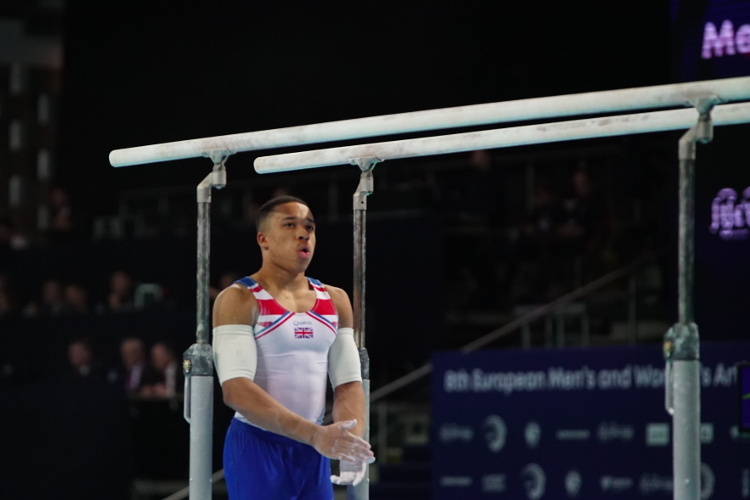 Parallel bars was a masterclass, he showed great lines and swings across the bar scoring a huge 14.833. On high bar he did superbly to control the nerves and execute his big release and catch moves, dismounting with a big smile to score 13.700 and complete his superb all-around display scoring a total of 84.365 points. James (Pegasus GC/Maidstone) has been battling a back injury during these championships but was determined to once again demonstrate he’s up there with the best in European having taken bronze at this event in 2017. He began with a smooth and tidy pommel routine (13.833) and matched that score on rings showing great determination to control his swing and dismounting perfectly. His vault was nicely executed scoring him 14.266 and ensuring at the halfway point he was positioned near the top of the leader board. 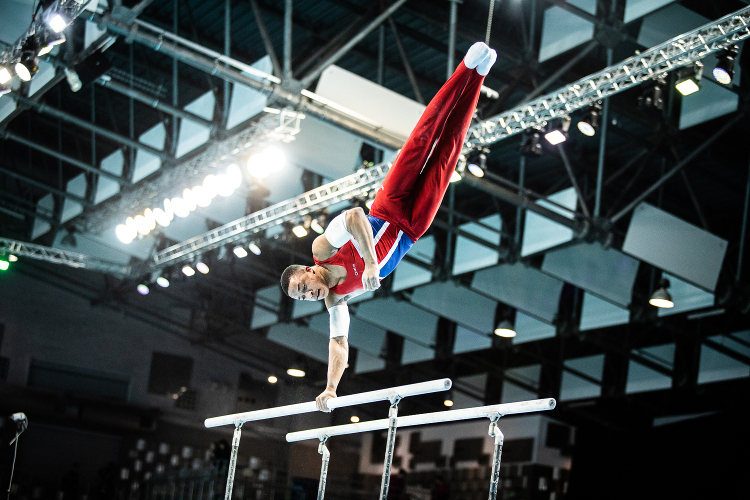 Having fallen on his parallel bars dismount in qualifying James had no such trouble in the final completing an excellent routine to score 14.466. 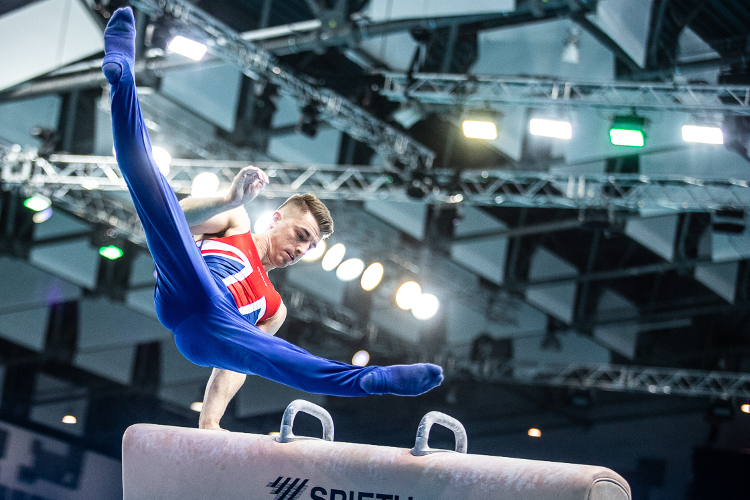 On high bar – which he has qualified to the apparatus final on – he showed his trademark consistency and composure to complete cleanly and score 13.933. Ending on floor with the last routine of the day James had a small stumble but powered through well to score 12.766 for a total of 83.097.